These insects have been cooked in the can to maintain nutritional value, flavour and aroma. It also softens the exoskeleton of the insects for easier digestion and breaks the bonds between the collagen protein to make it absorbable by reptiles. 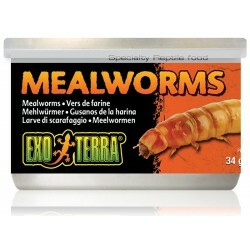 The Exo Terra canned foods are a convenient way to feed insects. These insects (and snails) have been cooked in the can to maintain nutritional value, flavour and aroma. 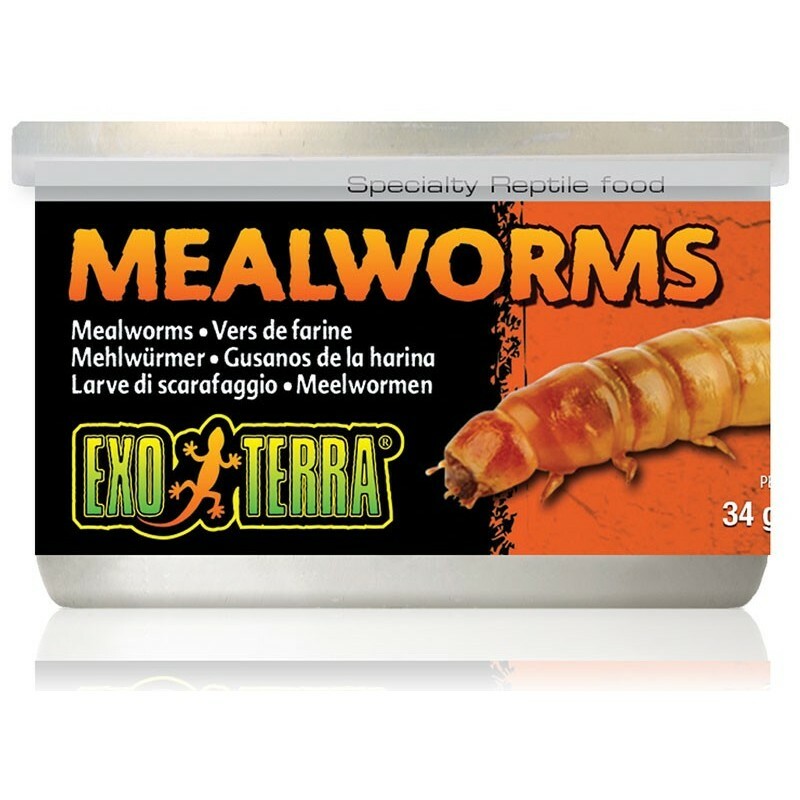 It also softens the exoskeleton of the insects for easier digestion and breaks the bonds between the collagen protein to make it absorbable by reptiles. Collagen is an important fibre that aids in building bone, cartilage, skin and claw structures. The canned insects have the same nutritional value as live insects but are easier to digest. No live insects need to be fed in addition to these canned foods.